It was around this time that the idea of making school chairs came to Lemen. 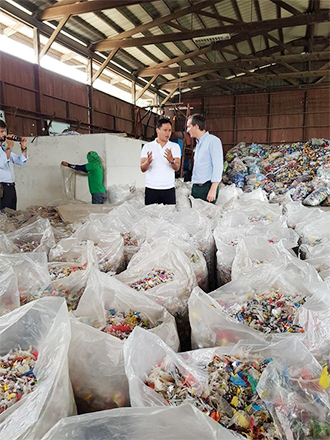 In an interview via Facebook Messenger, Lemen shared that an acquaintance visited the recycling plant in Davao and asked if it would be possible to create something helpful to students using recycled plastic. 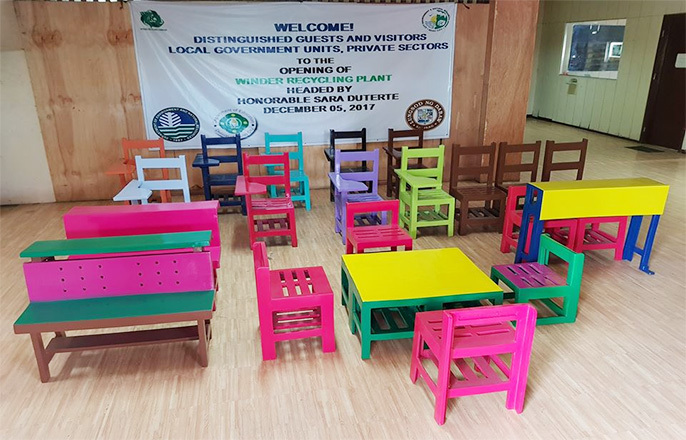 It just so happened that Lemen already had a prototype of a school chair made from plastic waste. 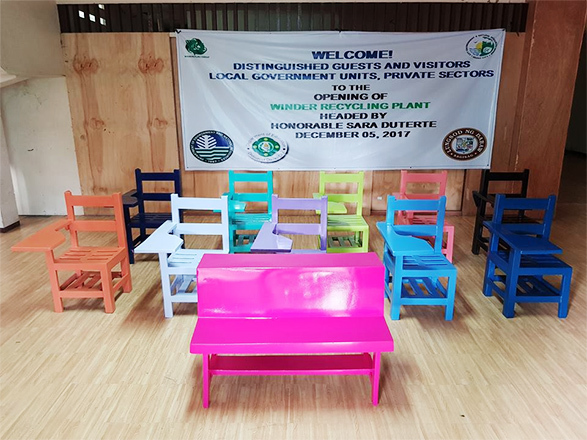 The visitor excitedly ordered 200 chairs to be shipped to Manila.